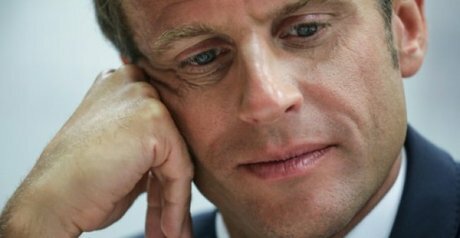 French President Emmanuel Macron is facing a tricky cabinet pick Tuesday, as he scrambles to recover from record-low approval ratings while facing growing resistance to a controversial tax payment reform. The centrist leader is expected to select a replacement for popular environment minister Nicolas Hulot, whose shock resignation last week caught France's political establishment off guard. Hulot, a TV star who enjoyed the highest ratings of any in Macron's cabinet, said the president was not moving fast enough on key green pledges such as cutting France's reliance on nuclear power. Few names have emerged as his eventual successor, with Daniel Cohn-Bendit, a veteran environmental campaigner and symbol of the May 1968 social revolution, turning down the post Sunday after discussing the matter with Macron over the weekend. Media reports have suggested Pascal Canfin, the head of WWF France, or Laurence Tubiana, one of the main architects of the landmark 2015 Paris accord on limiting global warming, as potential picks. Hulot's departure has also stoked speculation that Macron might be tempted with a more extensive ministerial shake-up ahead of the government's post-summer seminar on Wednesday. Macron's popularity had already taken a hit before the holidays after one of his top security aides was caught on film roughing up protesters while wearing a police helmet during a Paris demonstration. Critics accused the president and his team of trying to cover up the incident, reinforcing his image as an aloof leader dismissive of traditional checks and balances. A poll Tuesday showed his approval ratings at just 31 percent, down 10 points since July and the lowest since the former investment banker was swept into the presidency last year. When you are president, "there are some days that are easier than others," Macron said Monday during a first-day-of-school visit in Laval, western France. - Tax trouble -The French leader is struggling to sell a key tax reform, with businesses and the public baulking at a planned change likely to have a deep impact on voters' paychecks. The government has pledged to start withholding income taxes from workers' monthly wages starting in January, instead of collecting them the year after tax declarations are filed. Even though the amounts collected would be the same, millions of voters could be in for an unpleasant surprise with the reform, which previous governments have backed away from in the face of fierce resistance. The move will also require tax authorities to inform companies of their employees' tax rates, which critics say potentially gives them insight to a household's entire revenues. Adding to the public reticence, French daily Le Parisien reported over the weekend that hundreds of thousands of mistakes had been made during a recent testing phase, often with costly consequences for monthly earnings. Even business leaders, whom Macron has pledged to help by slimming down regulations and encouraging investment, have criticised a reform which could cost companies a total of 310 million to 420 million euros ($360 million to $490 million) to implement. Macron is scheduled to discuss the findings with Budget Minister Gerald Darmanin on Tuesday at 11:15 am (0915 GMT). "All indications from the finance ministry suggest the system is ready, but it's not a decision to take lightly," Cedric Villani, a star mathematician and MP in Macron's Republic On The Move (LREM) party, said Monday.